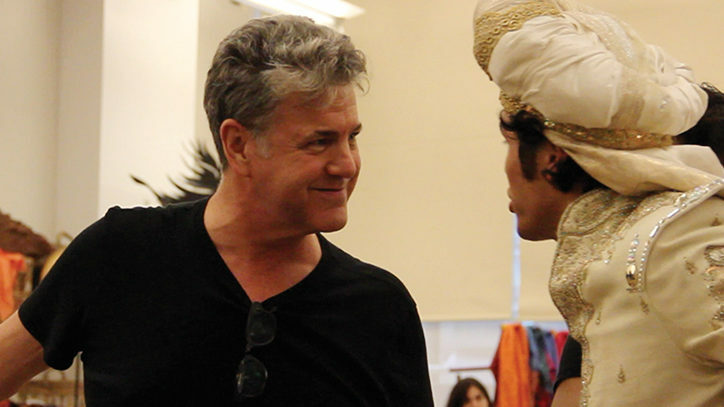 In the spring of 2014, seasoned stage actor Jonathan Freeman will return to Broadway in Disney’s latest theatrical venture: Aladdin. In the musical, Freeman will be reprising his role of Jafar, a role he created and voiced for the 1992 animated feature. We recently caught up with the Tony-nominated actor in Toronto while he was rehearsing the show’s out-of-town tryout. He spoke to us about being the first actor in Broadway history to go from originating a character’s voice on screen — to being the first to perform it on stage. BD: Who is Jafar to you? Jonathan: I grew up on Disney movies and, as a kid, I always liked the villains. I loved everything about them — their scale and magic powers — that always appealed to me. So when I got the opportunity to take on Jafar for the film, it was a childhood dream come true. BD: When working on the animated feature back in the early ’90s, did you ever think the property would resurface again as a stage musical? Jonathan: I think I did. I don’t think I imagined perhaps that it would be at this high of a level, this scale we’re working on. I grew up in Cleveland, Ohio, so as a kid actor we did all of the classic fairy tales — Cinderella, Aladdin, Snow White — and so I always thought that it could be possible. 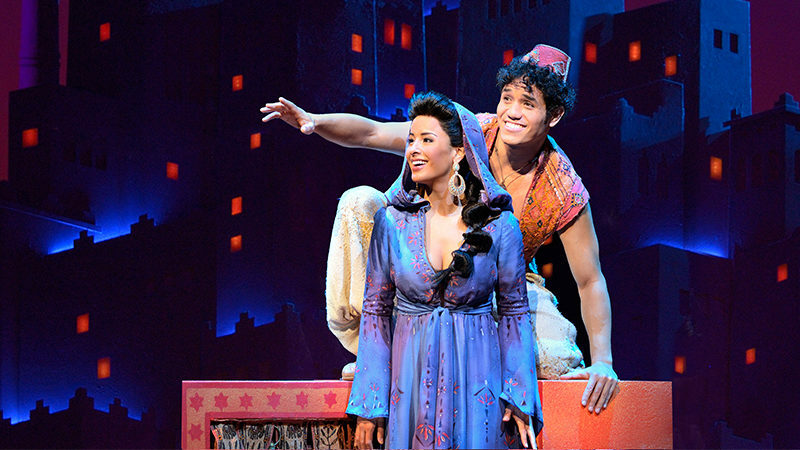 And when Disney Theatrical started with Beauty and the Beast in the early ’90s, I remember hoping that Aladdin would get its due. At the time, I remember thinking maybe it would be too difficult to do all of the magic on stage. But then again, there’s no other organization that could pull it off as well as Disney. BD: How about working with this creative team? Jonathan: Everyone is very lucky here to have Casey Nicholaw; his vision has made the show come alive in a way that I think no one could have imagined. Not to mention we have Bob Crowley [scenic design], Natasha Katz [lighting design] and Gregg Barnes [costume design]. I’m very privileged to be a part of this show and I’m truly amazed at what’s going on. BD: Tell us about some memorable moments working on the film. Specifically, working with the late Howard Ashman, the original lyricist. Jonathan: I believe I sang the last song Howard Ashman wrote. In December of 1989, I was hired to voice Jafar and I was rushed into the studio in January of 1990 because Howard was not well. They wanted me to demo a song that Howard and Alan Menken [composer] had written called “Humiliate the Boy.” I remember being rushed into the studio and it being mysterious — being in a studio somewhere making a demo of the song with David Friedman [the film’s conductor/vocal arranger] and Alan Menken and some technicians while Howard was on the phone from the hospital. It’s a very strong memory for me. And then I remember trying to work quickly on other music while Howard was still around. It was very clear that Howard and Alan were two of my champions on the original project. BD: How is the stage Jafar different from the Jafar in the film? Jonathan: My voice is the same. You can’t teach an old Jafar new tricks! Physically we try to get him to look similar, but I want to show the audience some new things about the character. BD: You have such a notable and recognizable voice. What’s the most interesting thing you’ve been asked to do with your voice? Jonathan: For years now, whenever I meet people, kids or adults, they’ll say, “Talk like Jafar.” I tell kids I’ll do it — but first they have to close their eyes because I don’t look like Jafar in real life. And they would give me the fish-eye: Where’s the bird? The staff? The fire? 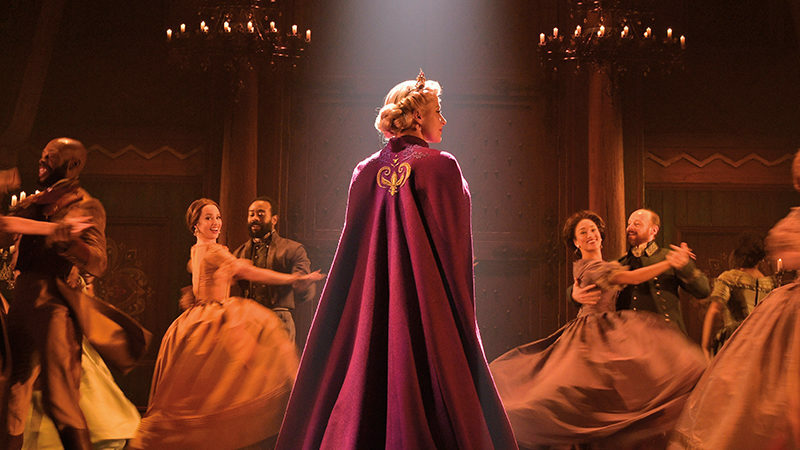 BD: You’re no stranger to working with Disney Theatrical, having previously done Beauty and the Beast, The Little Mermaid and Mary Poppins with the company. What keeps you coming back? Jonathan: Disney is a nice company to work for because they’re family-oriented. I don’t think that I’ve ever met anyone at the Disney organization who I didn’t want to be around. They hire really kind people, not to mention they’re talented and energetic. BD: What have you learned from rehearsal and the out-of-town tryout in Toronto that you’re going to apply to the Broadway production? Jonathan: Having worked on the show all these months, we made a lot of decisions. As theater artists, it’s a great luxury to have time. That’s why people love to go out of town. You can make mistakes and not have everyone look at you under a microscope. I’ve learned to trust the creative team. Like I mentioned, we have such a strong team. Going out of town, you have time to get the character into your body. 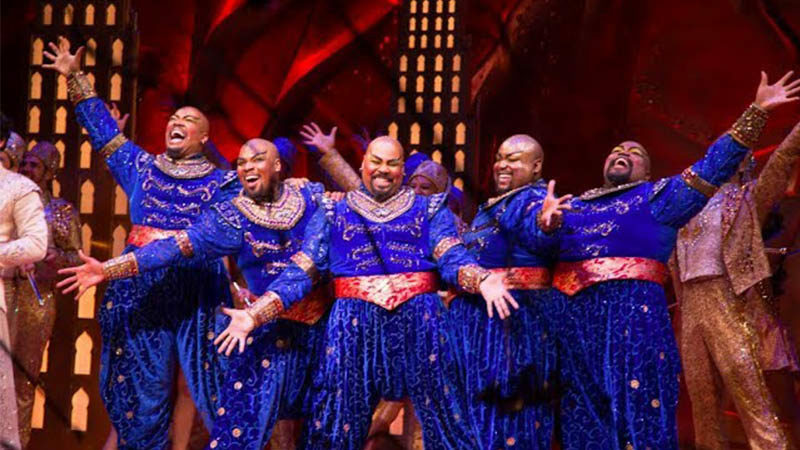 Jafar isn’t an easy person to create for the stage — he has a smooth surface interrupted by psychotic breaks — and all of this takes time to create. The work process is what makes it fun. You get to work with other people and you create a family.